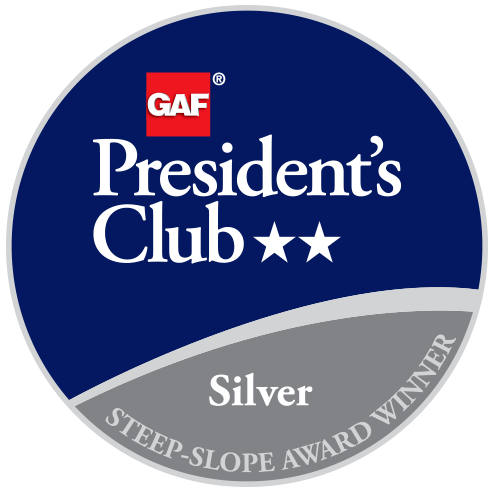 Unique Home Solutions of Indianapolis, Indiana, has received the most prestigious contractor award GAF offers: The GAF President’s Club Award. This highly coveted award recognizes Unique Home Solutions as one of the “elite of the elite” residential roofing contractors in the United States. Unique Home Solutions has been a GAF Master Elite® Contractor since 2009. To become a Master Elite® Contractor—a status that less than 2% of roofing contractors nationwide are able to achieve—a candidate must demonstrate proper licensing (in states that require it), maintain insurance, have a proven reputation, and show commitment to ongoing professional training. Unique Home Solutions is also recognized as one of only 20 Premium System Professionals nationwide. It has demonstrated excellence in understanding current and historical architectural styles in housing design to help homeowners find the right product choices for their homes. Unique Home Solutions has extensive experience installing distinctive roofing systems, including Timberline® American Harvest®, Value Collection Lifetime Designer, Timberline® Ultra HD®, and Ultra-Premium Collection Lifetime Designer Shingles. Products and services offered by Premium System Professionals add to the curb appeal desired by discerning property owners. Unique Home Solutions began decades ago with a single objective: to elevate the standards of product quality and installation procedures to an ethical and professional level above that of its competitors. Today, the company is the regional leader in the home-improvement industry. Never using subcontractors, the company doesn’t cut corners; its roofing systems are made of premium materials designed to defy the typical roof-aging process while remaining aesthetically pleasing for decades to come. The company offers only the highest quality products for exterior and interior improvements. Unique Home Solutions provides services in roofing, gutters, windows, doors, siding, kitchens and baths, and basement waterproofing. It also operates a handyman department, does work in home safety, and offers a non-prorated 50-year warranty that includes labor. Since its beginning, Unique Home Solutions has won awards in business ethics and practices. A member of the Better Business Bureau holding an A+ rating, it is the only home-improvement company in Indiana to be a four-time winner of the BBB Torch Award for Market Place Ethics. The company also supports many charitable and civic organizations; raising money, collecting toys, running marathons, and building playgrounds are some of the ways in which it gives back to the community. Since 1983, Unique Home Solutions has been a leader in the home-improvement and construction industries in central Indiana and northeastern Ohio. The company has proudly served more than 40,000 customers since its beginning, offering American-made, premium-quality home-improvement products. Using only full-time, manufacturer-certified employees, Unique Home Solutions has the goal of making each customer’s house into a better home.